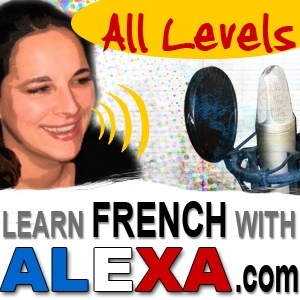 French with Alexa Lesson 1 is presented by the talented Alexa Polidoro from learnfrenchwithalexa.com. After many years of developing and harnessing her language-teaching skills with The French Ecole, Alexa has now created an audio treat for people who wish to learn a new language from scratch, without any pressure, in fun, relaxed, and manageable chunks. Highlights of Lesson 1 include: an introduction to the class format and some basic vocabulary; how to say how you are and where you live; talking about the weather; a small quiz; and a French song. Visit learnfrenchwithalexa.com for more great language-learning audio for adults and children.